01. Time Flows and Chaos Reigns Again...!! 02. When Will that Fellow Wake Up...!? 03. The Savior Arrives from the North!! 04. The Mysterious Bounty Hunter Ein! I`m Taking Kenshiro`s Head!! 05. Another Assassination Style ! It`s Name Is Gento Kouken !! 06. The Tentei`s Wrath! Falco, Eliminate Hokuto From This Place!! 07. The Spirit of Nanto Burns! The Haan Brothers Fight in Desperation!! 08. Ein is in Danger! An Evil Figure Approaches His Loved One!! 11. Finally, The Tentei`s True Form is Revealed!! 12. An Elegy for Ein! He Discards Honor and Chooses Death Over Life!! 13. The Imperial Capital Falls! Jakou, Go Live Out Your Dreams in Hell!! 14. The Endless Trial! Kenshiro Crosses the Sea!! 15. What Is Waiting In the Dark Continent! It Is the Legendary Land of Shura!! 16. Good or Evil? The Mysterious Hokuto Ryuuken Appears!! 17. She Speaks of Her Love at the End of the Century! Her Name is Leia!! 18. Rasho Han! You`re the Man Who Dyes White Snow into Red!! 19. The Legend of the Savior Runs Through this Land! His Name is Raoh!! 20. Kenshiro`s Secret is Revealed! The Land of Shura is His Motherland!! 21. An Unexpected Prediction! 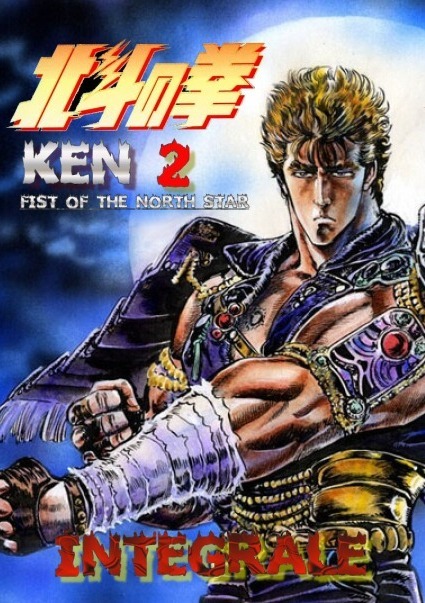 Kenshiro, You Can`t Be the Savior!! 22. The Warrior on the Horse, Rock! 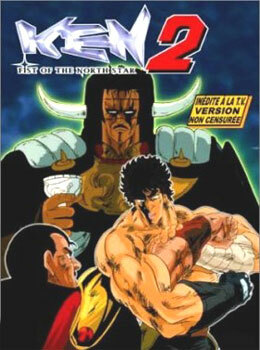 I Don`t Believe in Kenshiro!! 23. Men Who Need No Introduction! Finally, the Seven Warriors Attack Ken!! 24. Rock Communicates with Death! Kenshiro, Accept your Friend`s Fate!! 25. The Creator of the New Century is Announced! His Name is Majin Kaioh!! 26. The Seal of the Devil! The 2000-Year-Old Tragedy of the Hokuto Soukei Family is Told!! 27. Brother Ken is in Danger! Open Your Heart, Sweet Hyo!! 28. Kenshiro at the Execution! Finally, Heaven Makes Kaijin Run!! 29. Kaioh Declares a Moment of Victory! The Ghost of Hokuto Attacks!! 30. The Fatal Meeting Between Hyo and Ken! The Elder Brother Doesn`t Know of His Younger Brother!! 31. The Demon Kaioh`s Choice! Cold Blood Runs Through my Body!! 32. A Challenge From Kenshiro! I Never Lose Twice!! 33. The Tyrant Hyou and His Sorrowful Aide! Who Can Stop Him Now?! 34. Clash of the Blood Brothers! The Tears Had Not Return to Hyou`s Eye Yet!! 35. The Existential Crisis of Hokuto! Kaioh`s Evil Hands Reaches the Celestial Empress!! 36. A Tearful Reunion Between Brothers! Kenshiro, I`ve Been Waiting for You!! 37. Shachi`s Fight for Love! Kaioh, That Was Pathetic and Laughable!! 38. Shachi, the Love Soldier Dies! Friend, Love Knows All! 39. A Victim of a Tragic Love! This is the Origin of Kaioh`s Evil!! 40. The History of Kaioh`s Disgrace! The Heavens Reshapes Lynn`s Destiny!! 41. Three Episodes Left Until The End! This is the 2,000 Year-old Bloody History of the Hokuto Family!! 42. Prologue to the Final Episode! A Third Man Appears to Determine Lynn`s Fate!! 43. Farewell, Kenshiro! Farewell, Hokuto Shinken! !